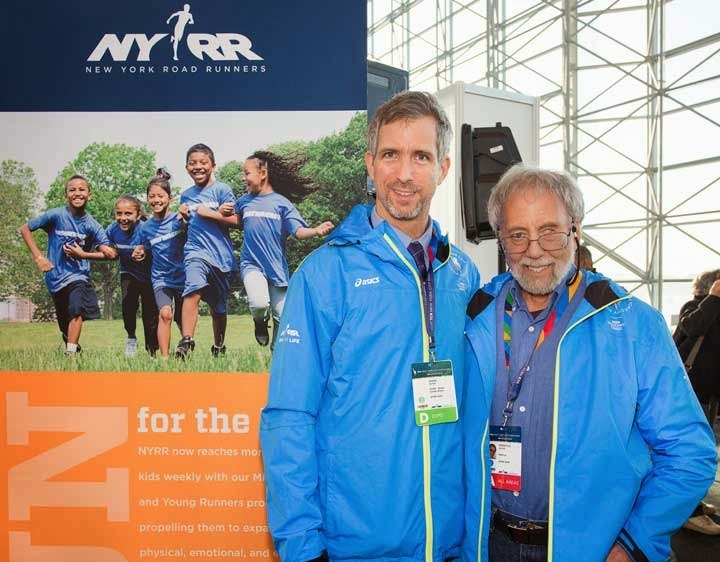 Allan Steinfeld is the former race director of the New York City Marathon and president of New York Road Runners. I am fortunate to say that he is also a mentor and a friend. I had an email conversation with him about the relationship between running and sense of place, a few days prior to his induction into the NYRR Hall of Fame and the Marathon’s 44th running. Peter: To know a place you must get out of the car, but when most people say that they’re usually thinking of walkers. How does one’s perspective about a place [neighborhood, park, road, etc] change as a runner, as opposed to walking, riding a bike or driving through it? Allan: I believe that running in a place gives a new perspective of that place. By car or bike you go through it fast. Walking or running allows you to "feel" as well as see this environment and concentrate on your surroundings. There’s doubtless a deeper appreciation but what about new, non-running, behaviors within the space such as trash-picking, social interaction or even safer driving? Hopefully, all thee will occur. Does the presence of runners change the place as well? It certainly does. It gets its character from the runners like no other modality. Does their striving or visible lack of formality have an impact on those who see them? I would hope that those that see them would try to emulate them. One of the very special things about the New York City Marathon is that it passes through very distinct neighborhoods. Tell us about the evolving relationship between runners and those neighborhoods. The neighborhoods have come to expect the runners to pass through their space the first Sunday of November rain or shine. They come out in droves to cheer them on. New Yorkers are busy people. Why spend hours cheering for runners? New Yorkers are certainly busy, but the NYC Marathon is theirs and they embrace it and besides it has now become a tradition. You get a pretty good view of the Marathon. What’s your favorite part of the course, from a neighborhood-engagement perspective? I would have to say Harlem because the folks are so exuberant. What have you heard from runners about how the Marathon’s diverse cityscapes colors their experience? They love it and it is unique to NYCM. What do we know about the impact of the Marathon upon those areas where it passes? Here's an example. Years ago some of our staff who were checking out the course stopped in a bakery for some pastries. They were wearing their NYCM jackets. Upon seeing them she said thank you "our streets have never been so clean thanks to you" and wouldn't let them pay for their pastries. Talk to us about the relationship between runners and safety in Central Park. How did we get from a few brave people with vests and radios to the droves we see there now on any given evening? Was it simply a series of friends convincing each other that it’s safe and that becoming the reality once it became a peopled space? The increase was due to the many races that were held in the park every weekend as well as the fact that the park was now much safer. Has the evolution of running from fringe pursuit to everyday mainstream practice had impacts on everyday public zones that are not specifically designated for recreation? Most definitely. It and other form of fitness now occur everywhere. Have you seen a development of physical infrastructure for running similar to that for biking? What work needs to be done? I believe that bikers are more connected nationally. In road races, in general, each race is an entity unto itself. Does that mean that runners don’t see a need for transit infrastructure advocacy that’s different from what the bike/ped folks are already doing? I believe that is true since you can run almost anywhere as opposed to biking. How do you see running as part of the social fabric in the future? It is now an everyday phenomenon that will lead to more marriages and relationships of all kinds.